A Hot Los Angeles Penn event you'll want to go to on September 1! "Reality Hell", the faux-reality show that Lesley Wolff (C'93, Bloomers) casts for, recently debuted on E! (Sunday nights). "Most reality shows have people looking for their 15 minutes of fame. Reality Hell will have people wanting to give their's back! The reality genre has all but taken over television programming, making stars out of regular people. Now E! is turning the tables on all those reality-star wannabes by staging a show where the whole cast is in on an act to set up one unknowing reality-show contestant. Staged scenarios include an over-the-top modeling competition with extreme challenges, wacky contestants and insane judges and a family swap that will have the mom trying to find a way to escape the crazy Hollywood clan she's been placed with. This summer on E!, Fake is the new Reality!" I've watched this show and the part I look forward to is the end of the show at the moment when the actors tell the victim they're on "Reality Hell" and the person that is being pranked doesn't know what "Reality Hell" means until they realize all the actors are laughing at them. It's briliant! According to The Hollywood Reporter, Liz "will play the lead role of Laura, a woman who is imprisoned for a murder she claims she didn't commit, as her husband, the recently cast Russell Crowe, desperately tries to vindicate her." I will tell you I recently saw Liz in the thriller The Uninvited. Liz definitely plays evil real good... in that she creeped me out real good. She reminded me of Rebecca De Mornay in The Hand That Rocks the Cradle. 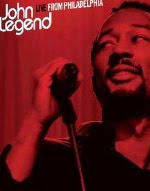 John Legend (C'99, Counterparts) will be performing at the Greek Theatre on Tuesday, September 1 at 7:30PM. Join PennClubLA for this fantastic event. Tickets can be purchased on the PennClubLA website HERE Come hear great music and network with new people.